VMware Auto Deploy works with Host Profiles to provision and customise your ESXi estate. When a host is deployed using Auto Deploy the state information is loaded to memory upon boot, the state is not permanently stored on the physical host by default. In theory this means there is no requirement for local storage, however we can configure stateless caching or stateful installs for use with a local drive if required. After the initial setup you’ll benefit from quick and easy ESXi deployments, patches, driver updates, etc. provisioning of hosts on a mass scale all running the same version of code, huge savings in configuration times for new hosts and a more reliable and stable environment. An Active Directory DNS, DHCP infrastructure already in place, you’ll need to enable DHCP options 66 and 67 so make sure your DHCP server supports this if it isn’t Windows. A TFTP server for the host to load the gPXE bootloader from. An Auto Deploy server to stream the ESXi image. A syslog collector and ESXi dump collector are required to gather your ESXi logs and crash dumps. 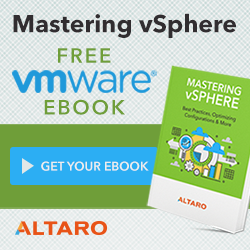 A vCenter server and Enterprise Plus licensing for your hosts. ESXi images and deploy rules can be managed using Power CLI or the vSphere web client. What happens if my Auto Deploy server goes down? Initially nothing, don’t forget the Auto Deploy server is only for booting your hosts, so if it goes down it won’t take the hosts with it. However if one of your ESXi hosts reboots while the Auto Deploy server is down then it won’t be able to boot back up. With this in mind VMware introduced stateless caching mode, when enabled this works by caching the ESXi image to a local drive (which can simply be a USB drive or SD card). The host will continue to boot from the Auto Deploy server, however should the Auto Deploy server be unavailable then the host will fall back to boot from the cached image. Stateful install is an installation method for deploying ESXi to a local drive on the server to boot from, so has no dependency on the Auto Deploy server post install. If you are running a large environment and are likely to be simultaneously booting a high number of hosts at once then you may want to consider using reverse proxy servers. This distributes the load and reduces the strain on the Auto Deploy server. You’ll also need to decide if your hosts should use stateless caching mode, as outlined above. Read through the Auto Deploy Best Practises Guide for vSphere 6.0 or vSphere 6.5. Previously, in vSphere 5.5, Auto Deploy was a manual install from the vCenter Server installation media. From vSphere 6.x onwards Auto Deploy is included in the vCenter management node, it just needs enabling. The steps below outline the process for versions 6.0 and 6.5, if you are configuring Auto Deploy on vSphere 6.5 and/or want to use the embedded TFTP server in the vCenter Server Appliance then refer to the vCenter Server Appliance Integrated TFTP Server post, which runs through the process in more detail. Open the vSphere web portal and log in with an account that is a member of the System Configuration Administrators group, you may need to use the SSO admin account. Browse to Administration > System Configuration > Services. Select Auto Deploy from the list of services. From the dropdown Actions menu click Edit Startup Type and change to Automatic. Start the service. Additional step for vSphere 6.5 only: to allow us to manage Auto Deploy using the GUI we also need to enable the Image Builder service; select the Image Builder Service from the list of services. Auto Deploy requires a syslog and ESXi dump collector, these are built into the vCenter installation. The VMware Syslog Collector is enabled by default with versions of vSphere 6.x. Locate and enable the VMware vSphere ESXi Dump Collector service. Log out of the vSphere web client and log back in. Click the Home icon, additional Auto Deploy options have now appeared. Still within the vSphere web portal go back to the inventory and highlight your vCenter. Click Configure/Manage > Settings > Auto Deploy. Select Download TFTP Boot Zip and keep the download safe; you’ll need this shortly. Make a note of the BIOS DHCP File Name (it should be undionly.kpxe.vmw-hardwired). Next install your TFTP server; I have used Solarwinds TFTP which is free, there is also an embedded TFTP server in the VCSA. Make a note of the TFTP server root directory. Extract the TFTP boot zip we downloaded earlier to the same location as your TFTP server root directory. Next configure your DHCP scope; add reservations for your hosts and enable options 066 and 067. In the value for option 066 (next-server) enter the FQDN of the TFTP boot server. In the value for option 067 (boot-filename) enter the BIOS DHCP File Name (undionly.kpxe.vmw-hardwired). The initial installation and setup is now complete and we can begin creating and customising ESXi images. Don’t forget to set the boot order on your ESXi hosts to use network boot first (if you plan on using stateless image caching add your local drive as a secondary boot device). Auto Deploy uses rulesets to determine which image and configuration a host should boot from. Traditionally Auto Deploy has been configured using Power CLI, the Power CLI commands are still applicable and can be used if preferred. The Auto Deploy plugin for vSphere 6.0 introduced something of a GUI to the Windows client, however we will not be covering that since the Windows client is now depreciated from v6.5 onwards. In v6.5 the vSphere web client includes a hugely improved, feature rich, Auto Deploy interface. In this post we will create an image using ESXi Image Builder, touch on Host Profiles; as these go hand in hand with Auto Deploy, and setup some Deploy Rules to ensure the hosts boot correctly. Follow either the CLI configuration or the GUI configuration. We start with ESXi Image Builder; a subset of powerful command line tools used to manage ESXi images. We will upload a vanilla ESXi image and then add an additional driver. If you have an image that you do not want to edit, such as a vendor specific image, then skip the additional software packages stage. First we need a copy of ESXi to work with, navigate to the ESXi download page at vmware.com and select the ESXi Offline Bundle download of the version you want to install. Make a note of where you have put the download, do not unzip the contents. Create a software repository folder where you can keep your images. Right click vSphere PowerCLI and select run as administrator. Type Connect-VIserver where is the name of your vCenter server. Now we need to add the software depot for the ESXi image , type Add-EsxSoftwareDepot “location\file” specifying the location and file name of your offline bundle. Repeat this for any software packages you want to add to the image, you can add multiple software depots. Next type Get-EsxImageProfile to display the available profiles from your software depot. If the names are truncated as they are in the screenshot below use Get-EsxImageProfile | select name. If you do not need to add any additional drivers or software packages to your image, e.g. if you have a ready to use image from your hardware vendor, then skip this section and move on to creating a host profile and setting up a deploy rule. We will now clone an ESXi image and add the software package to this image, so that we still have a copy of the original. In the example below the ESXi-6.0.0-20160302001-standard will be cloned to create a new image called Test Image. Change the names and vendor as appropriate. Now run Get-EsxSoftwarePackage and make a note of the name of the package you want to add, providing you added the software depot earlier you will see it in this list. In this example we are adding the nimble-psp software package. Add the software package to your ESXi image by running the following command; change the name of your image profile and software package as appropriate. To check your software package has been successfully applied run the following command which lists the vibs present, replace the image profile name. Finally export the ESXi image profile to a ZIP folder and place it in your software repository so we have a hard copy of the image. Replace the name and software repository location, if you’d prefer an ISO replace –ExportToBundle with –ExportToIso and .zip with .iso. Host profiles allow you to create a customised template of settings to be applied to your ESXi host. You can configure an existing ESXi host and take a copy of the settings as a base for the host profile. If you do not have any existing ESXi hosts in your inventory consider configuring Auto Deploy without a host profile attached, boot the ESXi host and configure as appropriate, then extract the settings to a host profile and update Auto Deploy. When configuring your reference host make sure the syslog and ESXi dump collector are set, for more information see Setting Up a vSphere Auto Deploy Reference Host for vSphere 6.0 or vSphere 6.5. Click Extract profile from a host. Select the host to export settings from and click Next. Enter a name and description for the host profile, click Next and Finish. Select the newly created host profile, we have a number of options. Click Actions, Edit Settings to add any further configuration. If you want to use stateless caching it can be configured by expanding ‘System Image Cache Configuration’ and changing the relevant option. Once you have a host profile setup you can attach it to a host or cluster. You will see in the GUI that the host or cluster shows non-compliant, this is because the profile hasn’t been applied yet. The profile can be applied manually but we’re going to add some deploy rules to do that for us when the host boots. If you require further assistance with Host Profiles see the vSphere Host Profiles Guide. Now we have an ESXi image and host profile we can setup a deploy rule to apply this configuration to our hosts. To setup our deploy rule we’re going to use the command below. Update the rule name and change the item value to the name of the ESXi image you added earlier. Replace Cluster_01 with the name of the cluster to join in vCenter and replace HostProfile with the name of the host profile to use for customisations. The pattern value relates to the IP addresses of the hosts you want this rule to apply to. If you get the error New-DeployRule could not find a trusted signer, then run $DeployNoSignatureCheck=$true and try again. The rule is created in the working-set and you will see the files getting uploaded to Auto Deploy. We need to activate the rule using Add-DeployRule “Test Rule” with the name of the deploy rule we just setup. Now when you boot a host where your deploy rule is applicable you will see it load ESXi and the customisations you specified in your host profile. If you are updating an existing image then to remove any cached rules before rebooting the host you can also run Get-VMHost hostname | Test-DeployRuleSetCompliance | Repair-DeployRuleSetCompliance replacing hostname with your host. To remove a deploy rule from the active-set to the working-set use the command below, to delete a deploy rule all together add -Delete at the end of the command. To check a host has the correct image use the command below. If the host lists an incorrect image, e.g. if the image has recently been updated, then run the following command and then reboot your host to boot from the updated / new image. If you want to dive deeper into the options around creating deploy rules use Get-DeployCommand to see the available cmdlets. We will now walk through the new Auto Deploy GUI and create a custom ESXi image with deploy rules to boot ESXi hosts. Log into the vSphere web client and select Auto Deploy from the home page. We’ll go through the tabs one by one, starting with Software Depots. Software depots contain images or software packages. Click the Add Software Depot icon to add an online software depot or a new custom depot which you can add images to later. Click the Import Sofware Depot to upload a zip file such as an ESXi image. Unlike the command line utility, any software depots you add to the GUI are saved there when you return. Let’s go ahead and make a start. First we need a copy of ESXi to work with, this can be a vendor optimised image or a vanilla copy of ESXi. In our example we have added a software depot containing the HPE optimised ESXi image. We are going to add the Nimble Connection Manager to the image, so I’ve also added the Nimble-NCM zip. 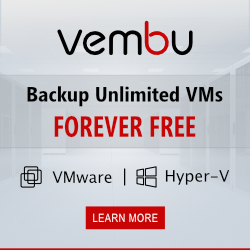 You can add any third party drivers or software that vibs are provided for. I’ve created a custom software depot where my new image will be saved. You can add as many different software depots as you like. Next we want to take the base ESXi image and clone it so we can add some additional software packages. Select the software depot containing the base ESXi image. Highlight the image and click Clone. Enter a name, description and vendor for the new image, and select a software depot where the new image will be stored. In this case I have chosen the new custom software depot I created above. The software packages from all software depots that were added to Auto Deploy will be listed. Select the package(s) that you want to apply. Set the acceptance level of the image and click Next. The acceptance level determines which level vibs are accepted for installation; VMware Certified being the most strict and Community Supported the most open. For further information on vib signature levels see this page. Now when I click the custom software repository I can see my new ESXi image. The bottom right task pane will show a list of software packages included in the image when selected. Once all the required software packages have been added to the ESXi image we need to create a deploy rule to boot the hosts. Open the Deploy Rules tab, click New Deploy Rule. Enter an name for the deploy rule and specify the variables for identifiying which hosts the deploy rule should apply to, then click Next. In this example I’m applying the deploy rule to hosts in an IP range. Select the ESXi image to deploy to the hosts, change the software depot from the drop down menu if needed, then click Next. If you have any issues with vib signatures you can skip the signature checks using the tick box. Select a host profile to apply to the hosts, and click Next. If you don’t have a host profile see the Host Profiles section above. Select the location of the hosts and click Next. Review the summary page and click Finish. The deploy rule is created but in an inactive state. Select the deploy rule and note the options; Activate / Deactivate, Clone, Edit, Delete. Click Activate / Deactivate, a new window will open. Select the newly created deploy rule and click Activate, Next, and Finish. Now the deploy rule is activated; when you boot a host where the deploy rule is applicable you will see it load ESXi and the customization specified in the host profile. Deploy rules need to be deactivated before they can be edited. You can setup multiple deploy rules using different images for different clusters or host variables. Hosts using an Auto Deploy ruleset are listed in the Deployed Hosts tab, hosts that didn’t match any deploy rules are listed under Discovered Hosts. This entry was posted in Auto Deploy and tagged Auto Deploy, ESXi, VMware, vSphere on July 19, 2016 by ESXsi. It is a perfect setup for a home lab setup, no more fiddling with USB sticks on the hosts. An in version 6.5 the process become much more streamlined. It is worth a close check.